The University’s Muslim Student Association (MSA) partnered with the International Young Leaders Assembly (IYLA) this past summer, and three MSA board members attended the assembly at the United Nations Headquarters. 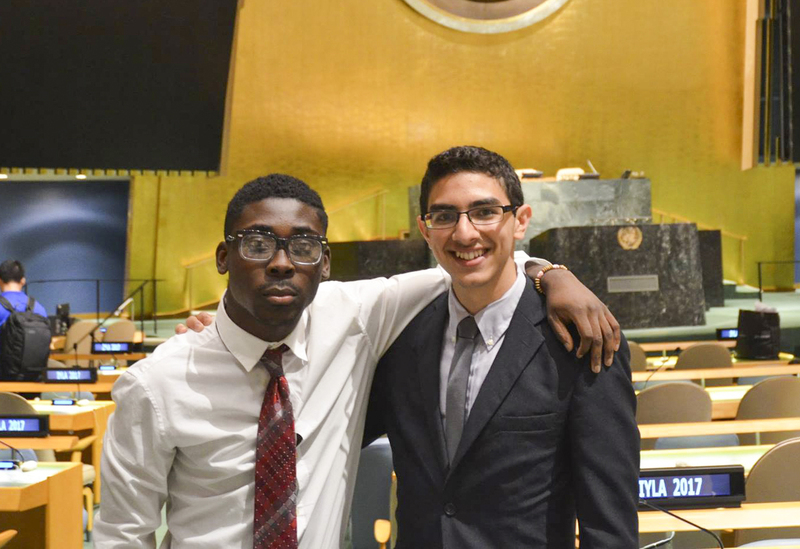 President Eunes Harun ’20 and Vice President Mubarak Sanni ’20, two of the attending members, spoke about the 2017 Global Summit in August, praising the eloquence and commanding energy that many of the speakers possessed. Harun addressed how they first got involved with the organization. Sanni added that accomplished lawyers, CEOs, and a diverse array of other professionals attended the event along with college and even high school students, which provided extraordinary networking opportunities. On campus, the MSA has been growing rapidly. Harun explained that before the class of 2020 arrived at the University, there were typically only three or four people at their weekly Jumu’ah prayers. Sanni added that last year, people who worked in Middletown would come to the MSA’s Friday prayers because Middletown does not have a mosque. Now, there are approximately 20 people coming every week. Although both Harun and Sanni are elated about the group’s recent boom, there have been a couple growing pains. Interfaith work may come naturally to Harun, who grew up in a family with three different religions. Religious tolerance and open-mindedness are central to the group’s practices. Sanni spoke about the mayhem after the 2016 presidential election, and the group’s activity directly after. Looking forward, they’re both excited to continue growing the group. Apart from their weekly prayers, the MSA also participates in and hosts other events, such as interfaith apple picking, which brought together campus’ Christian and Muslim communities for a day of fun activities. Coming up on Saturday, Oct. 14 at 6 p.m., they will be hosting a banquet to celebrate a sacred Muslim holiday, Eid Al-Adha, in Daniel Family Commons. Harun noted the importance of community and acceptance within the association.